The Professional Development & Resource Center (PD&RC) Pride is a monthly email communication celebrating the work facilitated by BT BOCES PD&RC to advance teaching and learning. This is also an opportunity to highlight resources available for loan as well as upcoming regional events. We hope you find this communication helpful and welcome your feedback. The two groups have been working with Science PD Specialist , Maureen Smith , this year to familiarize themselves not only with the new P-12 Science Learning Standards , but also in identifying the conceptual shifts that these standards will require for their classrooms. This work has entailed introductions to the standards document, discussion of the changes required of classrooms to adopt the standards, review of resources available, as well as the development of new lessons and activities for use in their classrooms. 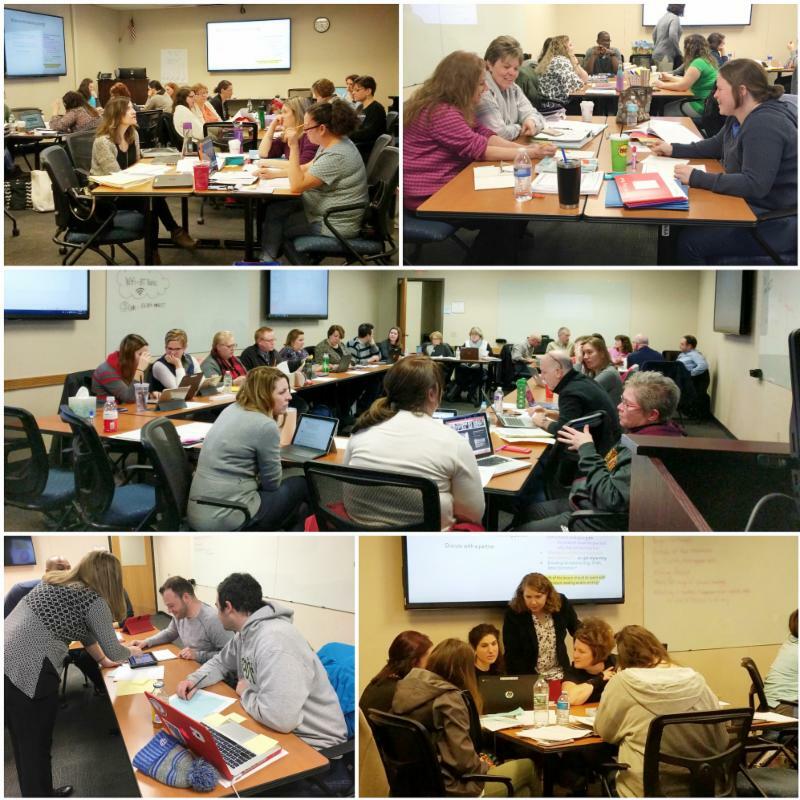 During their February sessions, teachers spent time looking closely at the Science and Engineering Practice of Developing and Using Models , as well as looking at further exploration of the Engineering portion of the Science Standards. Groups worked together to design bridges and “helping hands” utilizing the Engineering Design Process. Both groups then tested out their models and made necessary revisions to ensure success of their designs. The work will be ongoing with both of these grade level groups, as the teachers continue to learn about the new standards, develop lessons for their classrooms, and collaborate to create new assessments aligned to the new standards. We will also begin this work with Grades 2, 4, 7, and Earth Science this summer! Additional details and links to register will be available in the next couple of weeks when our Summer Professional Development catalog is released. Technology Integration: Double Robot in Action! You may have heard about Tiernan. He is an 8 year-old student at Maine Memorial Elementary School in the Maine-Endwell Central School District. In the summer of 2017, Tiernan was diagnosed with a condition that was going to have him out of school for a period of time. The Maine-Endwell district and Tiernan’s parents wanted to provide him with the opportunity to continue his learning and stay connected with the school, so they reached out to the instructional technology specialists at Broome-Tioga BOCES for possible solutions. 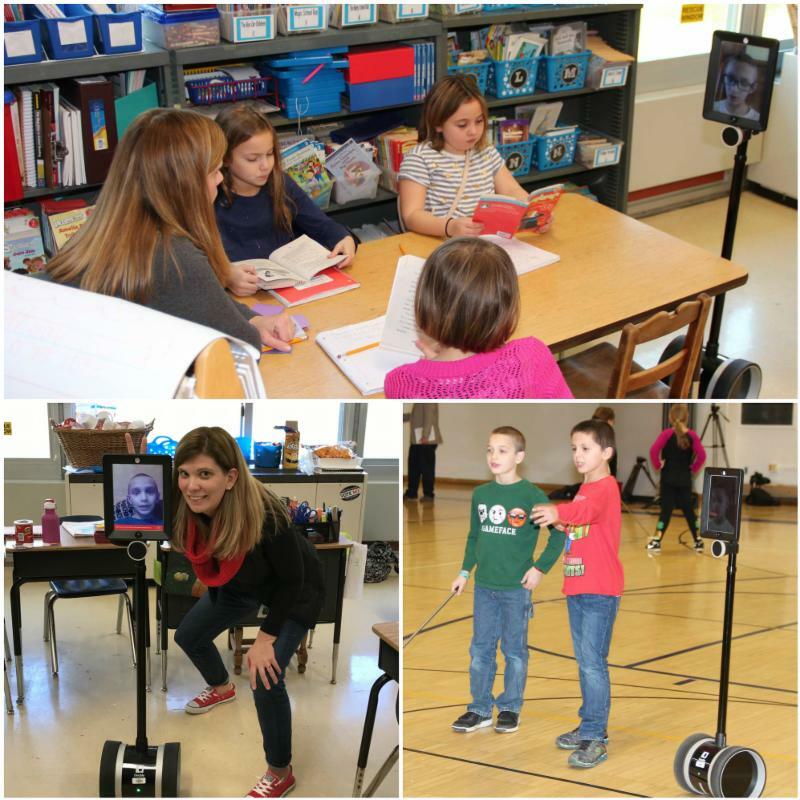 BT BOCES PD&RC had previously purchased a Double Robot Telepresence Robot to pilot in schools. A Telepresence Robot allows the user, in this case Tiernan, to remotely control the unit all while having audio & video communication. The robot not only allows Tiernan to talk with his classmates, but it also allows him to move around his classroom and school, despite the fact that he cannot physically be there. Tiernan was provided with a district-issued Chromebook to take with him, and PD&RC's robot was pulled off training duty and deployed to Maine Memorial. Tiernan couldn’t wait to log in to the robot and see his classmates. District Technology Integrator, Rick Bray, met with Tiernan and his family to go over how to operate the robot. In addition to this direct support, Tiernan and his family were given an instruction manual developed by the PD&RC team for operating the robot. Rick also met with the classroom teacher before the robot was deployed to help with small redesigns of the classroom setup to allow the robot to move freely and recharge as needed. In addition to Rick’s normal schedule in the building, while the robot is deployed to Maine Memorial, he provides onsite and email support as needed to the classroom teacher, Tiernan, and his family. The first time Tiernan was able to connect with his classmates via the robot was truly a heart-warming experience. It was really interesting to see the students excited to see Tiernan, and more or less ignore the robot! Questions about the technology came up later, but it was clear from the start this opportunity was going to provide big benefits for both Tiernan and his classmates. Everyone agrees that it has been wonderful to see faculty and student see past the technology and treat Tiernan just as any other student. Students and staff interact with him as he “walks” down the hall between classes, and in physical education he takes warm-up laps and leads the group in stretching. One of the concerns with Telepresence Robots is the price associated with them. It is highly desirable to have robots available for student use, however it is equally painful to see the robot sitting unused waiting for the next deployment. The PD&RC team is looking for ways to utilize the robot when it is not assigned to students. One solution we are looking forward to implementing involves lead evaluator/ inter-rater reliability training. In this model, the robot could be placed in a classroom, while an administrator watches the lesson from another room, lending to a less distracting classroom environment. The PD&RC team is excited to offer this support system and we look forward to finding innovative ways to effectively utilize this technology in our schools. Teaching coding and circuitry? Smart Circuits teaches electronic engineering with 10 circuit modules and a microprocessor. Each module contains an electronic component that follows directions from the computer in the microprocessor module. 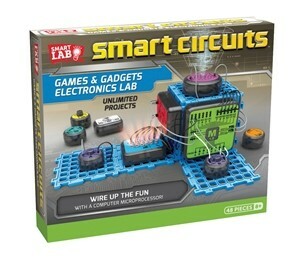 The Smart Circuits kit provides over 50 test circuits ranging from basic to complicated electronic concepts. Many of these can be expanded into multiple projects. The Smart Circuit kit includes: speaker, microprocessor, battery pack, modular boards, light sensor, tricolor LED, variable resistor, push buttons, LED array, tilt switch and connection wires. Add sound effects and music with the speaker. Design interlocking structures for multidimensional projects with the modular boards. Build projects that respond to light levels with the light sensor and create a spectrum of colored lights with the Tricolor LED. Bring a wide variety of circuitry projects into your elementary or middle school classroom in a safe, simple way - available through the BOCES Media Library at http://medialibrary.btboces.org . Please contact Kristina Garcia at kgarcia@btboces.org if you need assistance with ordering the Smart Circuits or any other Media Library resource. Learn ~ Collaborate ~ Explore ~ Register Today! Looking for more Professional Development opportunities? Check out the PD&RC calendar here !